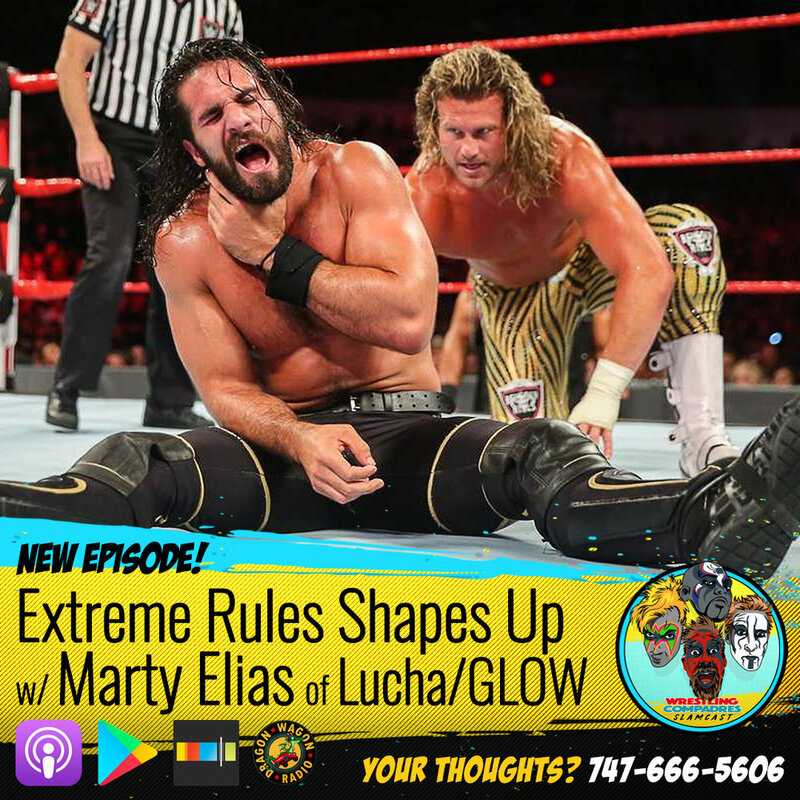 Marty F'N Elias talks Lucha Underground & GLOW plus Extreme Rules shapes up! Jonny and Jay are joined by former WWE Referee and current Lucha Underground head referee MARTY ELIAS! Marty shares thoughts on the current state of some WWE stories and talent including Braun vs. KO, the Ziggler/Rollins' Iron Man match scheduled for Extreme Rules, some "new" talent included including Lucha Underground's Io Shirai. All that plus everything happening in Lucha, Ring of Honor, Impact as well as Marty shares his experience working with Chavo Guerrero on the hit Netflix show, GLOW. Newer PostExtreme Rules Preview, NJPW G1 Fallout, Brock in UFC, plus RJ City!